Click these to read! Scroll down to read ABOUT! Advisory: Some excerpts contain foul language. Violence-wise and sexual-content-wise, it's clean. Note: Because this is a sequel, a lot has happened with these characters by the time this book starts. In the name of not having to explain a whole lot of earlier books' plot points in order for the first three chapters to make the most sense (and to avoid the vast majority of spoilers! ), I've instead chosen three excerpts that are less connected with the story continuity. 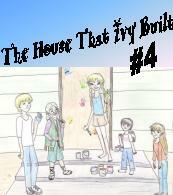 History: The House That Ivy Built: Book 4 was the last book I wrote during college. This is the longest of the Ivy books so far, and it is also the most complex. There are a bunch of sub-plots going on at once, which is nice because the plots of the previous books are often pretty one-dimensional. Ivy's emotions and reactions get more complicated . . . and she finds some unprecedented roots as well, so I got to write about her dealing with that. Many parts of this book are up to my current standards, but the whole thing needs work. And as a little bit of trivia, I might want to mention that I did certain things in this book that I'd originally promised myself I'd never do back when I first invented her. 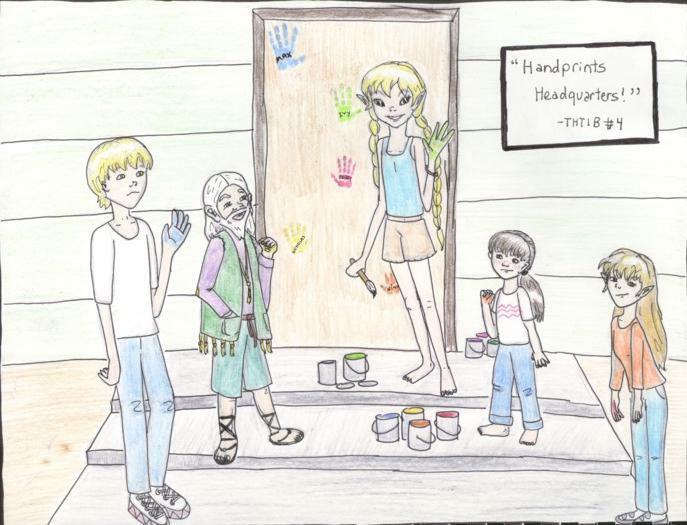 About THTIB 4: The fourth book in my series continues the life of my main character Ivy. This is the most epic of the books; more drastic things happen than in any other book so far. Ivy and her friend Ruben, in a quest to get money to fund Ruben's dream art workshop, stumble onto a strange offer to just give a million dollars away . . . with a big catch. The Grant Institute is looking for proof of talents like Ivy's. When Ivy applies to claim the money, her life spins in a bunch of different directions. Through contact with a janitor at the Institute, Ivy locates another person much like herself. She also attracts the attention of tabloid reporters and her existence is made public, and someone who's been looking for her for years finally finds her due to this (I'm not telling who, it spoils the surprise). Ivy's relationship with Ruben complicates, and her contact with her old friends seems to have deteriorated, so she goes on a quest to re-establish contact and ends up finding someone who shares her ability to create artistic winds. Finally, after having loads of personal issues and crises, Ivy observes how other people find companionship and begins to create her own organization to reach out. Excerpt 1 describes Ivy's first airplane flight, and leads to the discovery that she has a serious problem with claustrophobia. Excerpt 2 is a scene where Ivy visits Nina and then deals with a mix of feelings while reminiscing and flying around Nina's town. Excerpt 3 chronicles Ivy's phone conversation with Ruben and introduces you to her irrational and jealous side. If you enjoyed this and want to see more of the Ivy stuff I wrote in college, be sure and check out the "college years" section of my writing page. If you're curious about my current skills in the long fiction department, check out the novels in my "current projects" section.